The current business environment is highly competitive, especially for startups, and for many entrepreneurs shared office space is the way to go. Anyone can now start and run a business from any location in the world. The internet enables consumers to buy almost everything they need without leaving their homes. However, businesses still need a physical location, especially those in the service industry. Your most important clients, investors, and employees need a platform for face-to-face interactions. You have several options when you’re looking for office space for your business. You can lease or buy space, turn your home into an office, or share space with another startup. The benefits of sharing office space are outlined below. The main reason to consider sharing office space is saving costs. It can take several months to more than a year to attract and retain loyal customers to your business. 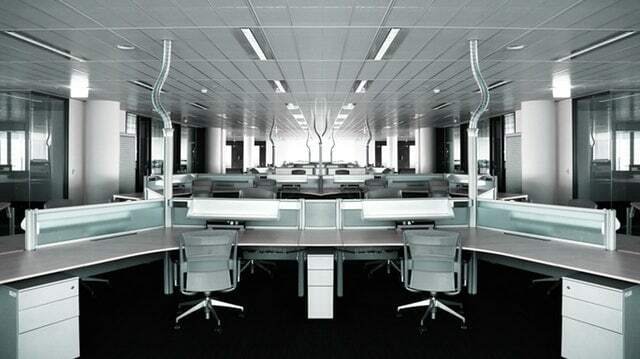 A shared office space reduces your rent costs. Besides, your business may not require much space at first. In fact, many entrepreneurs work alone for several weeks and sometimes months before they can afford to hire employees. With shared office space, you can build your brand and clients’ trust without incurring high costs. One of the common arrangements among founders is to utilize a shared office facility for hot desking or flexible plug-and-play usage. Virtual office facilities have proved effective as well, as you can give a physical address and phone number, see clients and conduct meetings, basically giving an impression of a fully established operation whilst still running the bulk of your business from a home office. Most entrepreneurs start a business in their field of expertise. However, even with the highest level of education and years of experience, you still need to learn from others. You will realize as you run your first business that the real business world is different from the ideal environment that’s taught in school. Sharing office space is an opportunity for you to learn from other founders. In most cases, business owners share space with founders in the same field. Observing their way of running their business will help you expand your business faster than you could by learning through your own experience alone. Your staff members also learn from other employees in the premises. Business owners benefit from shared spaces in terms of higher levels of employee motivation, performance, and productivity. You may worry that your employees will have many distractions at the workplace at first. However, most business owners have strict policies on working hours. Your employees will be motivated to work when they walk into an environment where people are busy with their tasks. Contrary to expectations, shared office spaces are not noisy or disorganized. Many founders prefer sharing office space as a way to help them meet targets and improve their performance levels. Interacting with other professionals in your field is important to the growth and expansion of your business. As you search for shared office space for your business, you will meet experienced founders that you would not meet in any other setting. You have an opportunity to interact with them and their connections. The founders in your office space can introduce you to new loyal clients that your marketing campaigns might not reach. Networking in a shared office space may help you to attract the best talents in the field. Sometimes the best way to hire new staff is to ask for referrals from current employees. This can be especially true if your industry is in a unique niche. In a shared space, you can talk to all the individuals and ask them to refer top talents to your business. Your business will thereby benefit from a short and cost-effective recruitment process. In addition, the low rent cost enables you to offer higher salaries than your competitors can, so you can attract and retain the best talent. Acquiring high-quality office equipment is a challenge for many startups. A shared office space enables you to access equipment and amenities without incurring the initial cost. For instance, you and your staff will have access to a fast internet connection, printers, and faxing machines immediately after moving your business to the shared space. The shared equipment depends on the office setup and industry. Sometimes founders share the cost of manufacturing equipment and tools. As you search for shared space for your business, consider the type of shared equipment in the space. If you share space with other business in your field, you are likely to find all the equipment you need to keep your business running. Shared office spaces have become popular as business owners find creative ways of cutting down costs and networking. Consider this option for your business, especially if you are incurring high rental costs. Shift your business to a shared office space and enjoy the many benefits.